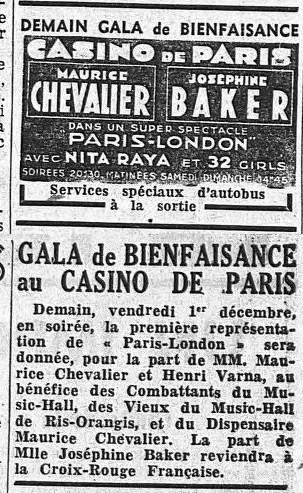 Josephine Baker reached the height of her career a mere five years after being catapulted to stardom on October 2, 1925, the day that La Revue Nègre opened at the Théatre des Champs Elysées in Paris. Between 1925 and 1930, her stage persona evolved from savage to sophisticated. Through relentless effort by her manager and lover, Pepito Abatino, she became a music hall icon and the inspiration for a line of cosmetics called Bakerfix. After a tour of Europe and South America, the couple purchased an apartment building in Paris’ 16th arrondissement and the villa, Le Beau Chêne, in the Paris suburb in Le Vésinet. The stage was appropriately set for what was arguably the most important performance run of her career – Paris Qui Remue at the Casino de Paris. The show opened on September 26, 1930. Baker performed what would become her signature song, “J’ai Deux Amours,” for the first time. And she became irrevocably identified as an animal lover when made a house pet of a stage prop, Chiquita the cheetah. 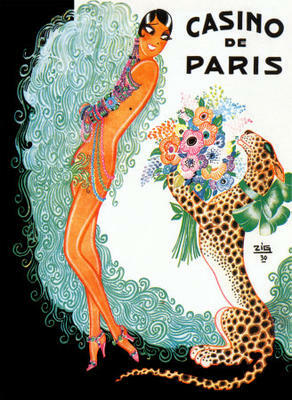 Paris qui Remue was updated and renamed La Joie de Paris in 1932. After over 300 performances, it traveled to several European capitals as well as to Alexandria and Cairo. and her first serious stage acting role as Dora, the protagonist in Jacques Offenbach’s operetta, La Créole. She returned to the U.S. to appear in the Ziegfield Follies in New York City in late 1935. The trip was disastrous and led to Baker and Abatino's break-up. Abatino returned to Paris alone and moved out of Le Beau Chêne. He died of cancer a few months after Baker returned to France. Baker married a Jewish Frenchman named Jean Lion in November 1937 and obtained French citizenship shortly thereafter. She began a series of “farewell” performances to appease her husband’s desire for a stay-at-home wife. She reportedly became pregnant and lost her baby (one source says that she never conceived). Shortly thereafter, she returned to performing full time and went on a second tour of South America. She filed for divorce while in Brazil. Returning to Paris in July 1939, she found France in the throes of preparing for war. She and Maurice Chevalier performed for French troops stationed at the Maginot line and then returned to Paris to star in a revue called Paris-London at the Casino de Paris. 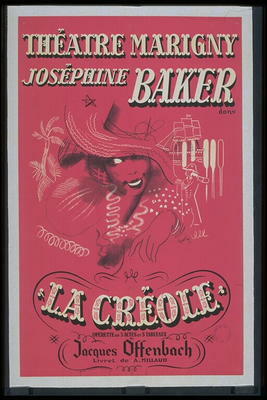 The proceeds from the first performance were given to charities – Baker donated her portion to the Red Cross. When Holland and Belgium fell to the Germans in May 1940, France was overrun with refugees. Baker worked at a homeless shelter in the 13th arrondissement to help the new arrivals. Business at the Casino de Paris dwindled and the theater was shut down. Baker then volunteered for the Red Cross to help refugees. She left Paris for Les Milandes, her château in the Dordogne, in June 1940. 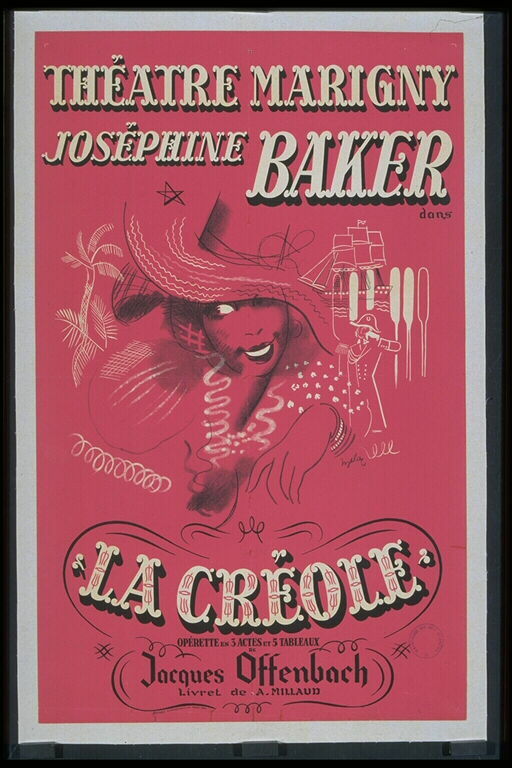 In December 1940, she staged and performed in a revival of Offenbach’s La Créole in Marseille prior to traveling to North Africa to continue her clandestine activities for the French Resistance. 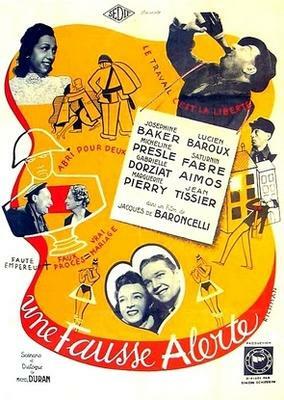 *Baker's first film was La Sirène des Tropiques. It was released in 1927. ** Thanks to Bob Tomlinson for supplying the name of the newspaper in which this announcement was published.